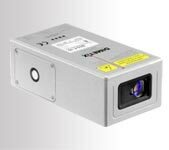 The range of laser distancemètres DLS-C is the new generation of powerful and robust sensors designed to meet the requirements of industrial measurement. Associated with many electrical and mechanical accessories, they provide a complete and specific solution to various industries such as metallurgy, applications of wood, paper and storage. Performance and economic, these laser sensors provide a professional response for professionals !